Try these proven games for kids at church this Easter Sunday! Celebrating Easter is an essential part of Christian ministry and when you do it “kids’ style” you will need Easter games for the classroom. 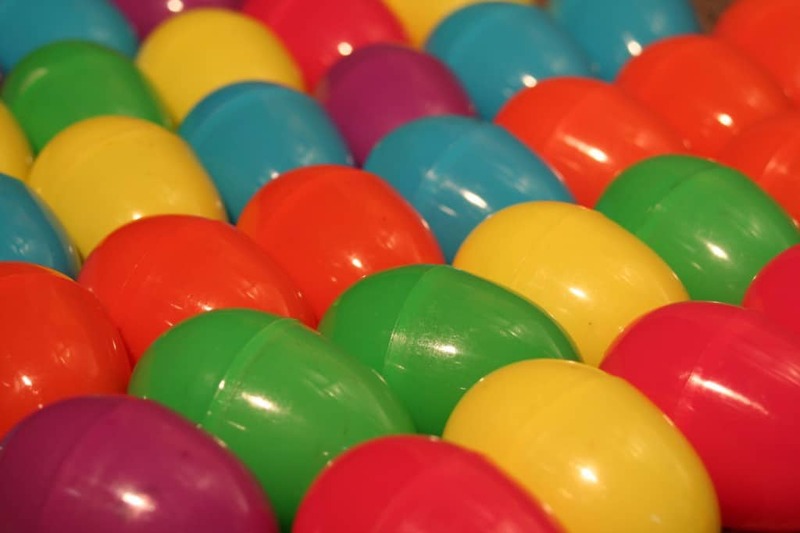 Holiday Easter games maintain the flow of the theme and add excitement to your sessions. Since I have kids ages 6 to 11 usually, I like to keep things as uncomplicated as possible. Take a crack at these Easter-themed games and let the fun begin! Since you are playing indoors, you can should pair off the contestants. Let them take turns one pair at a time. I use contractor’s tape to create a start and finish line on the carpet. Kids line up at the start line with a plastic spoon in their mouth. The contestants use a spoon to push the egg across the finish line. The first contestant to do this wins. They have to get down on all fours but most kids don’t mind. Just make sure the area is clean. Usually, I take the winners from the first round and let them compete until we find an official winner. Before class, arrange a group of colored eggs in a basket and include one plain, boiled egg. You should have one egg per child. Have the kids stand in a circle and distribute one egg to each child including the “it” or white egg. Play some Easter music and have the kids pass the eggs to the left. Stop the music. Whoever is holding the white egg is out. Put one colored egg in the basket and continue on until you have one child left. You need to put a tarp down for this game but it is hilarious. Also, if you have kids dressed in their Easter outfits, have the participants wear an inexpensive rain poncho to protect their garments. Kids should stand three feet apart and toss the raw egg to one another. Once that round is successful, have them take a step backwards and toss the egg again. They keep tossing until the egg is broken. The person who missed loses. This game needs a start and finish line. Children should line up at the start line and put their hands around their ankles. Staying in this position, kids should waddle across the finish line, like a duck. If they lose their grip, walk or run, they are out. You can do this game several times. If you have a larger space like an auditorium or gym this game is perfect. Smaller kids could do it in a classroom. This is a game of tag only the players have to hop like bunnies. They cannot run or walk. The “it” bunny hops trying to tag a new “it” bunny. The game continues until everyone has been a bunny. Thank you! I really needed some inspiration. I’m sure these will be fun with my group of 9 year olds! Tony Kummer (Editor) reviewed & updated this page on : April 20, 2019 at 2:47 pm. All our content is peer reviewed by our readers, simply leave a comment on any post suggest an update.